The staff us really really nice, they will give you some food for feed animals and introduce animal to you. And they let me leave my luggage at the counter, very thankful. Like the name is Mini Zoo, and they keep the animals very well. Visiting KL Tower? 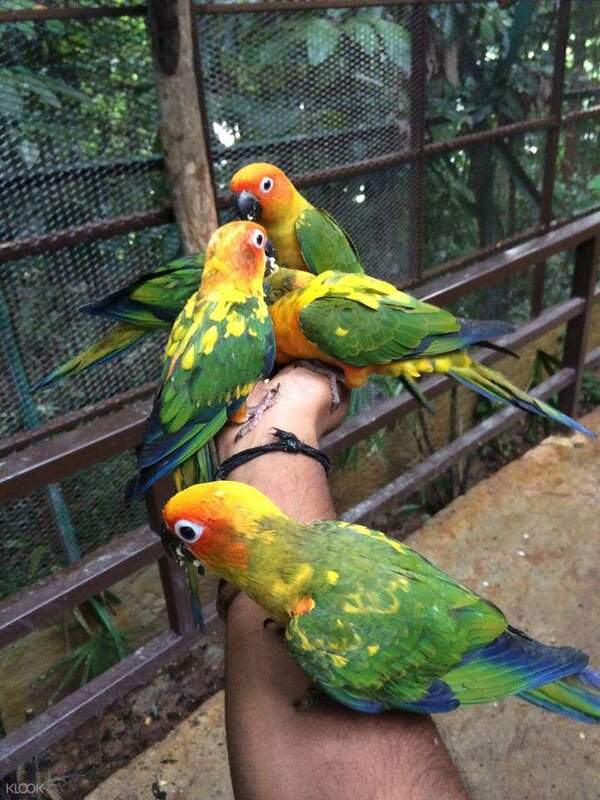 Have a one of a kind experience before you leave with a visit too KL Tower Mini Zoo! 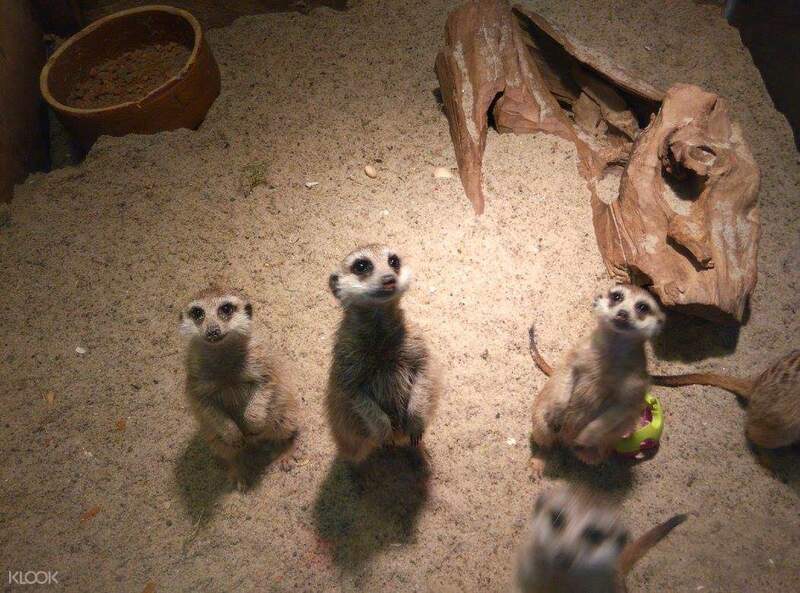 Located on the ground floor of the tower, the mini zoo is home to a variety of docile animals like meerkats, Bat-eared foxes, racoons, Falabella - the world's smallest horse species - and more! Explore the 8 different zones inside the mini zoo all designed to recreate the animals' natural habitats. It's a fantastic experience to add to your visit to KL Tower - truly one you should not miss! 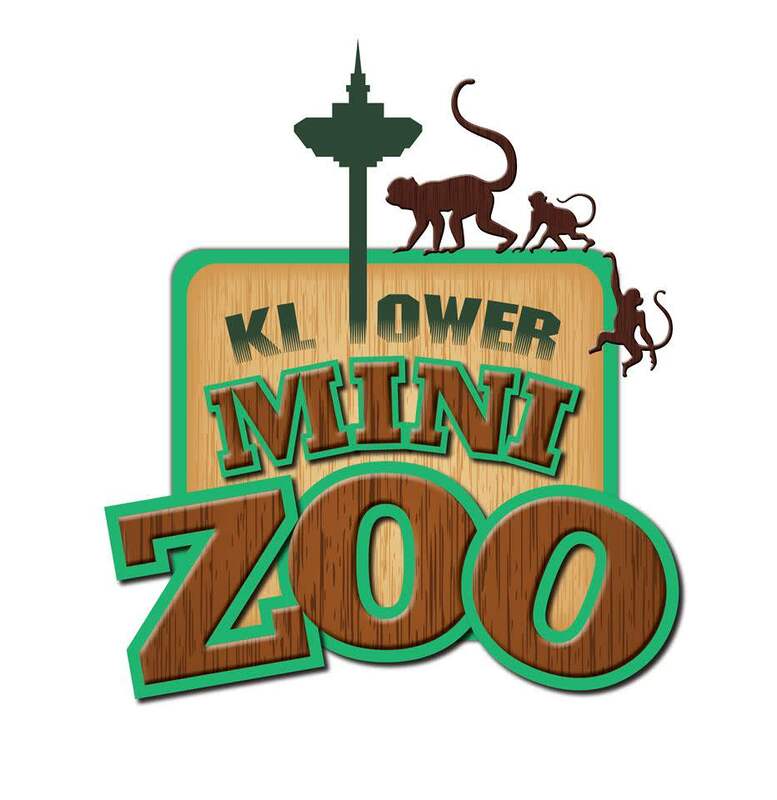 Drop by KL Tower Mini Zoo on the ground floor of KL Tower in Malaysia! The staff us really really nice, they will give you some food for feed animals and introduce animal to you. And they let me leave my luggage at the counter, very thankful. Like the name is Mini Zoo, and they keep the animals very well. The staff us really really nice, they will give you some food for feed animals and introduce animal to you. And they let me leave my luggage at the counter, very thankful. Like the name is Mini Zoo, and they keep the animals very well. First of all, so easier booking the ticket using this app! Save your time too, just show your phone (eticket) at ticket staff. I choose this mini zoo because suitable with my kids aged 3years old and 1year old. They really enjoyed it! First of all, so easier booking the ticket using this app! Save your time too, just show your phone (eticket) at ticket staff. 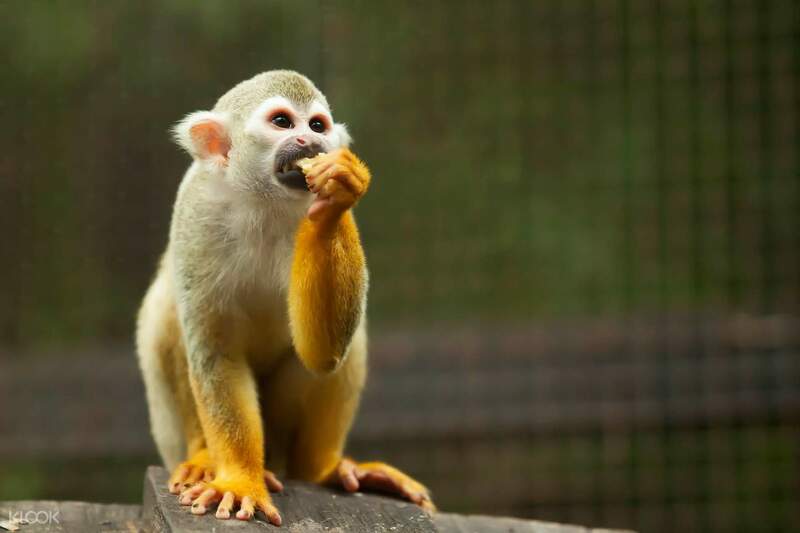 I choose this mini zoo because suitable with my kids aged 3years old and 1year old. They really enjoyed it! Location is at the KL tower. Can easily reach by using grab. The redemption was easy and fast too. Is a small zoo but the kid has some fun time with the animals too. Good to spend 2 to 3 hour here. Recommended for family with small kids. Location is at the KL tower. Can easily reach by using grab. The redemption was easy and fast too. Is a small zoo but the kid has some fun time with the animals too. Good to spend 2 to 3 hour here. Recommended for family with small kids. Just show the voucher, they give you a sticker and badabing badaboom you're in! It's not a very big zoo, hence mini. But its not totally small either. If you're gonna go in KL Tower this is not to be missed especially for kids who can handle animals and adults who love them. Once inside it does start to smell like a zoo but it isnt that bad. Honestly? The best part is the fact that you can actually pet most of the animals! Just watch your step! There are sometimes turtles walking around the area lol. It's a super great experience, an hour or two might be enough to photo op with most of the animals/feed them /enjoy. There's a souvenir/food shop inside as well as a sort of convenice store/canteen just in front of the souvenir shop exit for your food needs. It does get hot. Bring an extra shirt! Just show the voucher, they give you a sticker and badabing badaboom you're in! It's not a very big zoo, hence mini. But its not totally small either. If you're gonna go in KL Tower this is not to be missed especially for kids who can handle animals and adults who love them. Once inside it does start to smell like a zoo but it isnt that bad. Honestly? The best part is the fact that you can actually pet most of the animals! Just watch your step! There are sometimes turtles walking around the area lol. It's a super great experience, an hour or two might be enough to photo op with most of the animals/feed them /enjoy. There's a souvenir/food shop inside as well as a sort of convenice store/canteen just in front of the souvenir shop exit for your food needs. It does get hot. Bring an extra shirt! KL Tower Mini Zoo is a nice place to visit before we visit KL Tower. There are some animals in this zoo. They have birds, turtle, racoon, snake etc. We can also feed the turtle, rabbit as well as the birds at aviary. But again, as the name is ‘mini zoo’ the collection of the animals also not so many. Overall it is a nice place to visit. And to book the ticket at Klook is a good thing to do. KL Tower Mini Zoo is a nice place to visit before we visit KL Tower. There are some animals in this zoo. They have birds, turtle, racoon, snake etc. We can also feed the turtle, rabbit as well as the birds at aviary. But again, as the name is ‘mini zoo’ the collection of the animals also not so many. Overall it is a nice place to visit. And to book the ticket at Klook is a good thing to do. This mini zoo is good for children. Only few animals were here. The staff allowed the visitors to feed some animals. Unfortunately, other animals were asleep when I visited. It is better to visit in the morning. This mini zoo is good for children. Only few animals were here. The staff allowed the visitors to feed some animals. Unfortunately, other animals were asleep when I visited. It is better to visit in the morning. Mini Zoo is a paradise for young kids and adults. The place looks small but there is actually plenty of animal to see and interact with. Highly recommeded. Mini Zoo is a paradise for young kids and adults. The place looks small but there is actually plenty of animal to see and interact with. Highly recommeded.